I was disappointed to read the same old arguments being used by Professor Orford in his response to the call for the BPS to support the creation of a Defence and Security section. As a veteran and a psychologist who works within the MoD and has deployed on short term training teams around the world, as well as undertaken an extended tour of duty, mentoring in Afghanistan, it disappoints me that there is a lack of understanding regarding the work of psychologists in the military. Jim Orford’s issues seem to be twofold: that we may be embroiled in a scandal like Division 19 of the American Psychological Association was a few years ago and a creeping militarism within the British Psychological Society. However his arguments hold no water. He is correct to be concerned about the issues surrounding the guidance on ethics given by the APA regarding interrogation techniques. But it needs to be remembered, that the Hoffman report is seriously flawed, and in fact, records show that operational psychologists who were APA members, strongly intervened when they thought that the techniques used breached ethical guidelines, something that Hoffman ignores. There are lessons to be learnt from how the APA as an organisation then acted in giving the ethical guidance that it did, but to use this as an argument against the formation of a section within the BPS, implies that military psychologist are all involved in devising unethical interrogation techniques and that the BPS is incapable of giving considered ethical advice; both rather ridiculous arguments. The Professor then dismisses the arguments in the original letter regarding the need to best protect society as nothing more than government propaganda. However, in dismissing them as such he shows a lack of understanding what the military is for and what it does. Reducing the function of the military purely to a war-fighting organisation dismisses the work that servicemen and women do. The military serve the public at the behest of the elected government. I’m sure the residents of York were not concerned by the creeping militarism or nationalism on 25 December 2015. War is the last resort of government and from personal experience and discussion with uniformed colleagues it is the last thing that most in the military want to do. 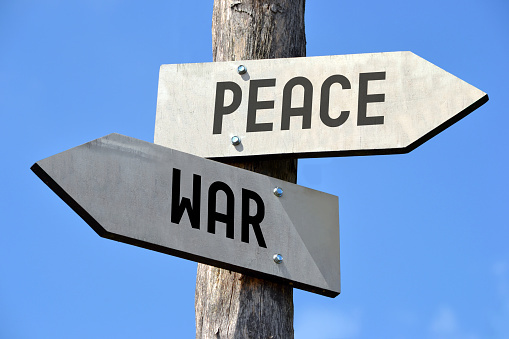 In fact the tools of modern conflict are more likely to be Key Leader Engagement, Cultural Understanding, Active Listening Skills and Negotiation techniques; developed and taught by psychologists. At Sandhurst, for example, Officer Cadets spend more time learning about the behavioural sciences than they do weapon skills. He also suggests that we should just call the section “Military Psychology” ignoring the fact that operational psychology also encompasses the “blue light” organisations as well as others. Would we be seeing the same arguments against supporting psychologists who work with the police? Yet, much of what operational psychologists do can be shared across these organisations, all of which aim to serve and protect the wider society. It is hard to see how denying the creation of a Defence and Security Section supports any of these aims. A new Section would allow practitioners in the field to come together and debate the issues under one umbrella, to seek guidance and share best practice and have a professional voice within the BPS. The BPS gains because it will have credibility when it needs to speak 'truth to power', being informed by the expertise of those who undertake this work and allowing the BPS to better serve the wider public. As for militarism within the BPS, Professor Orford seems to forget that this Society’s first President was a military psychologist; as was the last one. Military psychologists are already members and Fellows of the Society, but we are scattered with no cohesive forum for discussion. At a talk I gave recently to psychology students, there was a great interest in the role of operational psychology and the challenges in the area. These young people sought information in how they could help serve their society as best they can, a section will help them find that guidance. Or shall we turn them away? As it was I had nowhere I could direct them to for further information. Is the Society going to follow Professor Orford’s lead and shy away from engagement in an important area of society, because of a misplaced ideological fear of militarism, or, will it embrace the professionals who serve society by working with the military and security services? Is the BPS so weak that by giving a forum to those of us that work with the military it will lose the ability to have balance and debate? Or, is that balance only served by hearing the people you want to hear? All views expressed are those of the author and are not made in any officially capacity as a civil servant in the MoD. it is very healthy to have different views and discussions but please can we be clearer about our definitions. People do not criticise medical professionals for being pro-disease. Medicine is one approach to dealing with disease. Military action is one approach to dealing with Defence and Security. The proposed section is for finding ways to help psychology contribute in positive ways to the problems of Defence and Security. Military response is one way. Education may be another. International aid is another. Understanding why we have security problems is another. Please let us think and discuss accurately about problem vs solution.